Join us on Saturday, October 27th as we celebrate INIC's anniversary (and Halloween) at our annual Carnival & Bilingual Book Fair! You can find more details and FAQs below, and you can also reach out to our planning team at pta@inic-edu.com. We hope you can join us for some sweet treats and fun feats! Whether your kiddo prefers crafty activities or games of skill — or even just free play — we've got fun for all levels and ages! We'll also be selling yummy concessions like tacos, hot dogs, ice pops, and cupcakes to fill all those hungry, hardworking stomachs. Interested in donating concessions or sponsoring one of our game booths? Email us at pta@inic-edu.com to inquire about being one of our official sponsors. 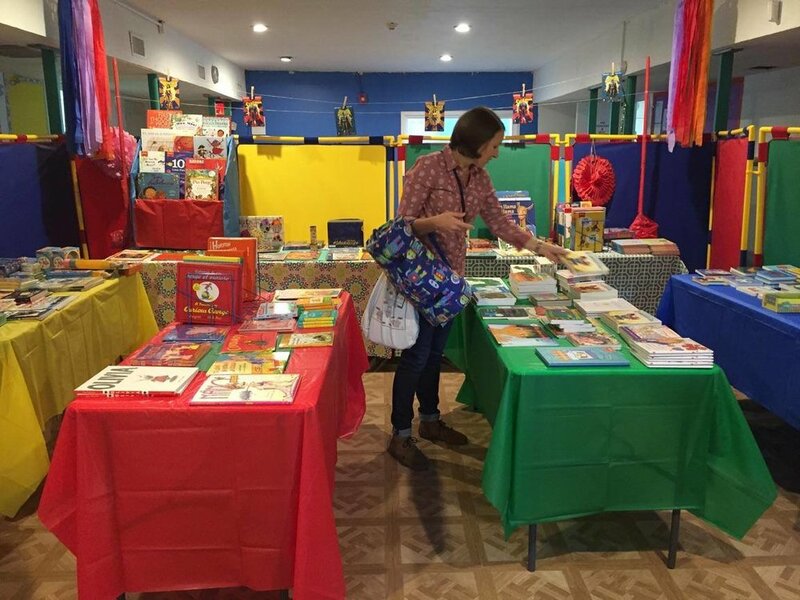 In partnership with Book People, we’re offering our INIC families and community members with a unique opportunity to purchase Spanish and bilingual children’s books during the carnival. Come find some of your favorite Dr. Seuss and Curious George books in Spanish, or discover new titles and stories about Hispanic culture. All our games offer children a chance to win tickets to redeem for some cool prizes at our prize table. And if you're not into bubble wands or sidewalk chalk, you can always buy a raffle prize ticket for $10 (buy 5, get 1 free). The raffle will be drawn at the conclusion of the carnival, and we will email/call you to collect your prize. Want to buy a ticket remotely? Email us at pta@inic-edu.com. Thanks to all our amazing 2017 sponsors below. To be a part of this year's event, contact pta@inic-edu.com. When & Where Is the Carnival? The carnival and book fair will be held on Saturday, October 27th from 10AM - 1PM at our new campus (2100 West William Cannon Drive). Games and activities will be held in the parking lot, two outdoor play areas, and two indoor gyms. The book fair will be located inside the multi-use area at the back of the school. Everyone! Bring your abuela, your gym buddies, your dog groomer, and your Instacart deliverer! 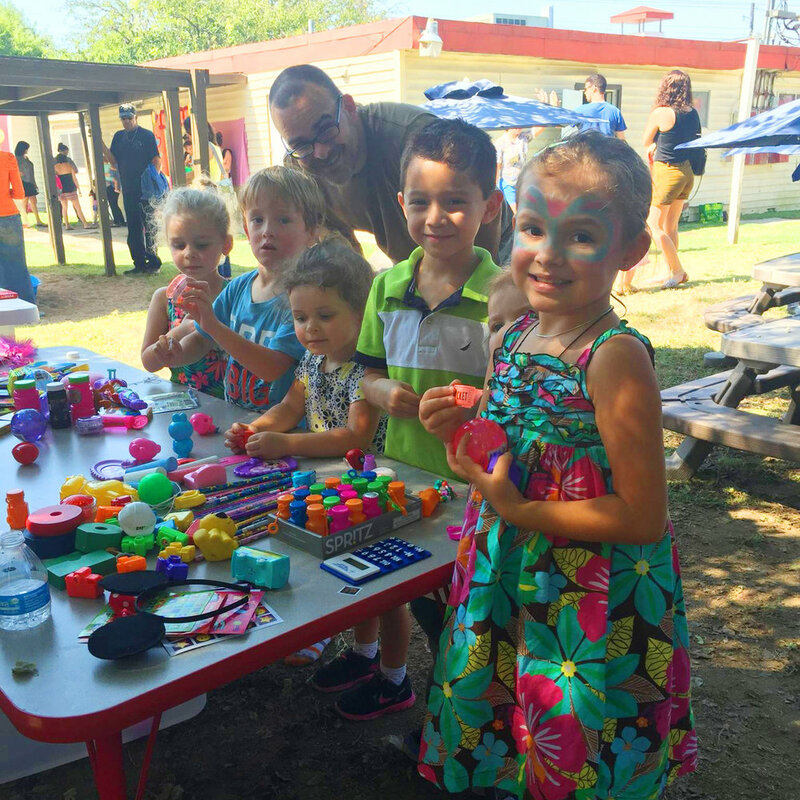 The carnival and book fair are open to anyone in the community — the more, the merrier! We hope you do! We'd love to see adults and children alike dressed in their best Halloween finery, and we'll be awarding the most creative folks with our social media costume contest. Simply take a pic of your child (or yourself!) at the carnival and upload it to the INIC Facebook page for a chance to win a fun prize (winners will be announced on Monday). How Much are Game/Activity/Food Tickets? Tickets are 50 cents each, and games/activities range in price from 1 to 3 tickets each. Food can also be purchased with tickets for 1 - 4 tickets. We will sell tickets at the front of the school from 10AM - 1PM (cash or check only). Raffle tickets are $10 each (get one free ticket for every $50 you spend). All our INIC families will be provided with raffle tickets to sell, or you can buy them onsite at the carnival ticket booth from 10AM - 1PM (cash or check made out to the International Immersion Center). We will draw for prizes after the carnival has concluded and will email/call you to collect your prize. You can also email pta@inic-edu.com to purchase a ticket if you do not have access to an INIC family.